Anne Gemmink was born on 8th of January 1989 in Naarden, the Netherlands. In 2007 she began her studies in Human Movement Sciences at the Free University in Amsterdam. During her Bachelor internship she investigated if training fast isometric knee extensor force development was knee-angle specific. After completing her Bachelor degree, she started the Master program Biology of Human Performance and Health at the Maastricht University in 2010. During her Master she did her internship in the Diabetes and Metabolism Research Group on the role of ANT1 in oxidative stress and mitochondrial uncoupling in skeletal muscle. Belonging to the top 3% of best students of the Faculty of Health Medicine and Life Sciences she was awarded with the Top 3% award. In September 2011 she started her PhD at the department of Human Movement Sciences at Maastricht University under the supervision of Prof. dr. Matthijs Hesselink, Prof. dr. Patrick Schrauwen and Prof. dr. Marc van Zandvoort. After pioneering studies on the role of FSP27 in skeletal muscle, she switched topic and focused on skeletal muscle lipid droplet morphology, location, composition and coating with PLIN5 in the (patho)physiology of insulin sensitivity. During her studies she was involved in setting up (3D) confocal and STED imaging in skeletal muscle tissue for further studying lipid droplet morphology and protein decoration. 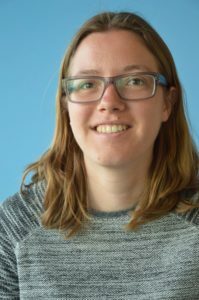 Anne is currently working as a postdoctoral researcher at the department of Human Biology and Human Movement Sciences at the Maastricht University. She is involved in applying and optimizing mass spectrometry imaging techniques on skeletal muscle to study lipid composition in relation to insulin sensitivity in a location specific manner. In addition, she will continue working on STED imaging of lipid droplet coating proteins and their relation with insulin sensitivity.